John Player was born in Gloucestershire around 1634. His practice originated from that of John Hasard, who in 1612 was listed as receiving a royal stipend as instrument-tuner to Princess Elizabeth, sister of King Charles I. To her was dedicated in 1612 the first English printed keyboard music, Parthenia – a collection of pieces by William Byrd, John Bull and Orlando Gibbons. 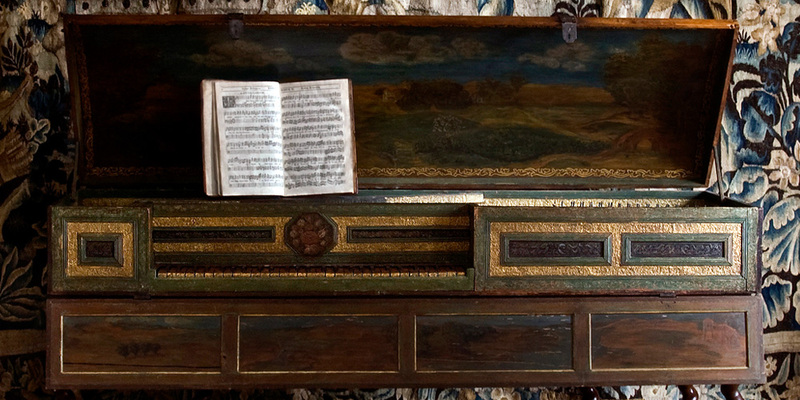 Hasard’s only known surviving work is a harpsichord dated 1622, of which nothing but the lidless case survives now at Knole House, Kent. After Hasard’s death, the patronage of Princess Elizabeth (later known as the Winter Queen) was extended to his son-in-law Gabriel Townsend, whose only surviving instrument is a virginals made for his royal patroness, now in the collection of the Musical Instruments Museum, Brussels. John Player was Townsend’s senior apprentice and by 1660 was managing his workshop. 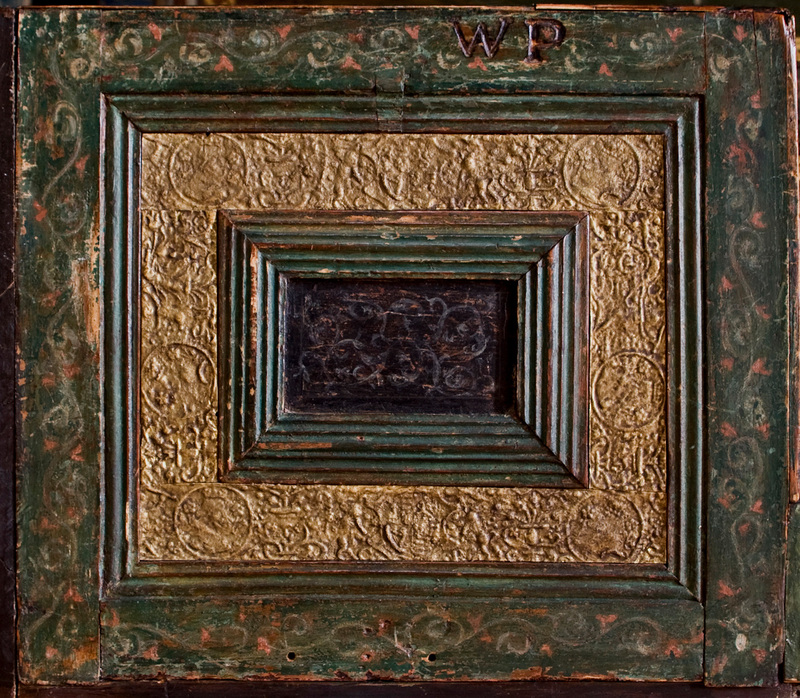 This, his only surviving virginals, bears a brand ‘WP’, letters used to mark furniture for Whitehall Palace. It would appear, therefore, that the instrument is a unique survival from the court of King Charles II, who had always maintained close ties with his musical aunt. 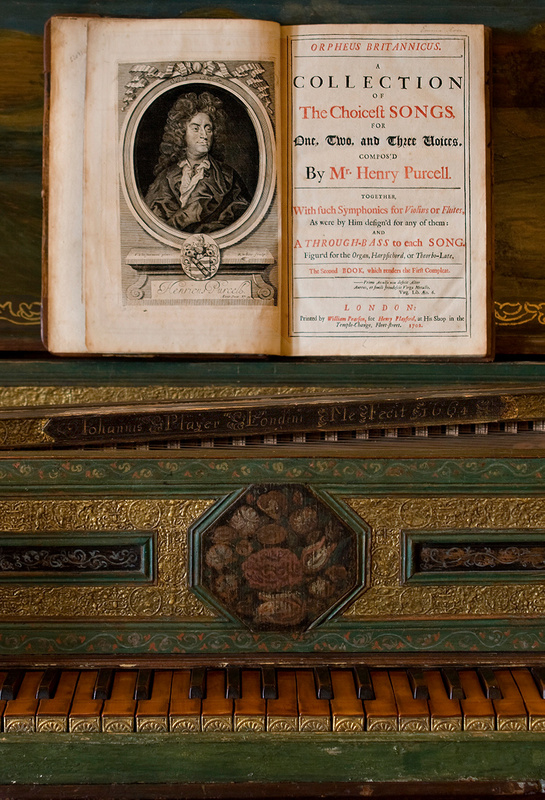 In 1673, the instruments at Whitehall and in the Royal Household came under the care of the young Henry Purcell, who was appointed ‘keeper, mender, maker, repairer and tuner of the regals, organs, virginals… to His Majesty’. The daily maintenance of this instrument may well, therefore, have been carried out by the composer. The recently discovered manuscript of keyboard music by Purcell, now in the British Library, was recorded by Virgin Classics entirely on this instrument, performed by Davitt Moroney; the CD is available at Hatchlands. 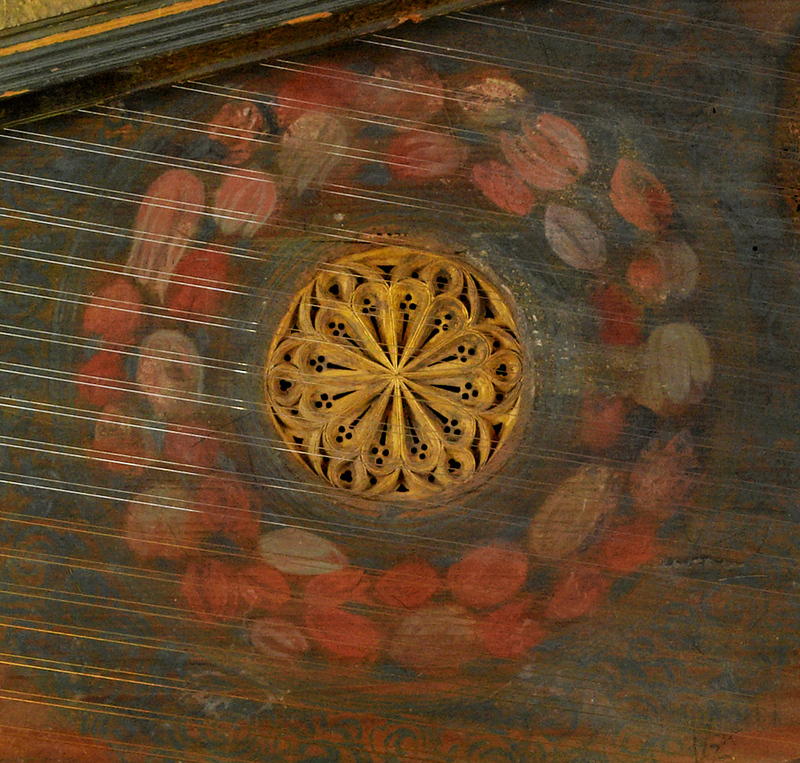 Although a virginals possesses the same plucking mechanism as a harpsichord, it is of rectangular shape and only has one set of strings running from right to left instead of away from the performer. The jacks and plectra must therefore emerge through apertures in the soundboard to pluck the strings. 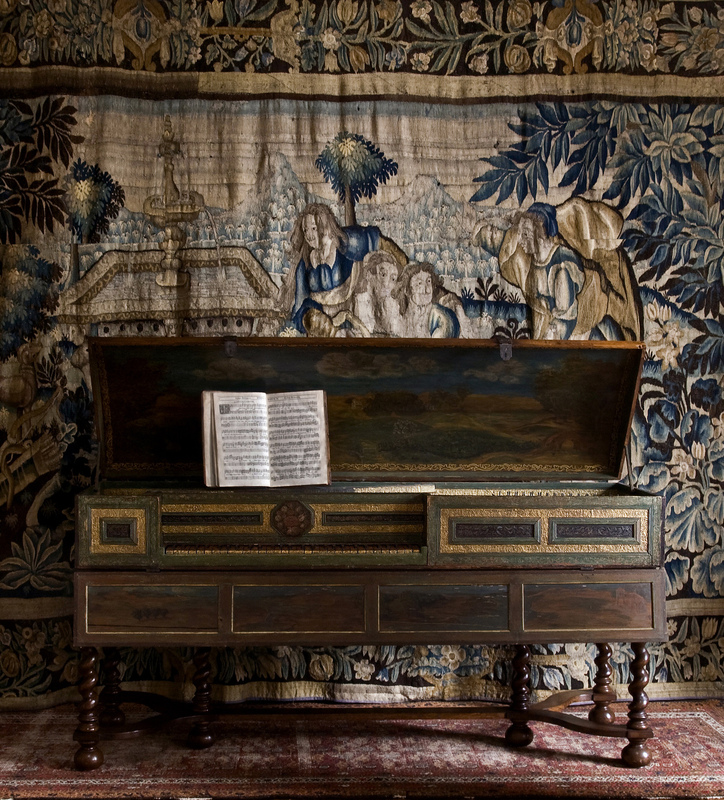 In a harpsichord, the jacks are normally situated outside the soundboard area altogether. Around twenty-four English virginals survive today, and in general they have larger compass than their European counterparts. They represent a flourishing tradition of instrument building from a period when English composers were leaders in the development of keyboard technique and composition. 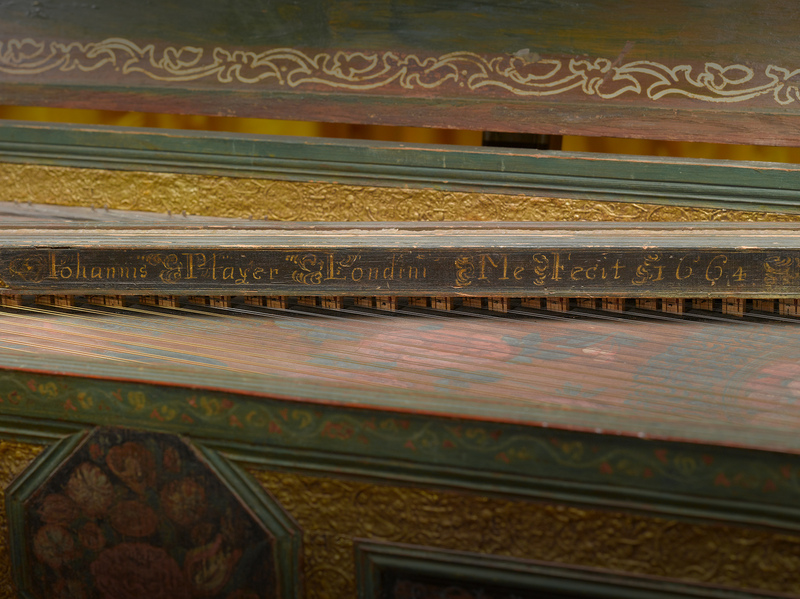 Player was a pioneering maker of the English bentside spinet, the successor instrument to the English virginals in the domestic context.